Local TV stations and the news coverage they provide become even more vital during natural disasters such as floods, earthquakes, hurricanes, tornados, snowstorms or other weather. However, there is a wide variety of factors that will depend on if a station can still reach viewers. First, it’s important to understand that the video you see on TV stations is available via several distinct sources. The “main” source is the station’s free over the air (OTA) signal, which is sent out via a special antenna-like system called a transmitter. This signal can be picked up by televisions with antennas (sometimes referred to as “rabbit ears”). 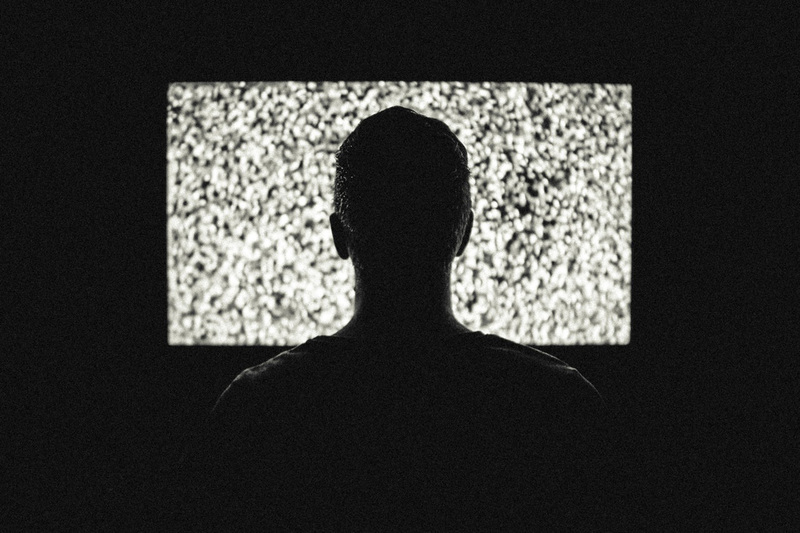 However, in most urban and suburban markets, most viewers receive their signals via cable, satellite or a streaming provider. In more rural markets, however, it may be more common for viewers to use the over the air signals. Although the exact setup varies from station to station and market to market, in many cases a station’s over the air signal can, literally, be “off the air” but still “on air” via other sources. It’s worth noting the term “on air” is a bit of a misnomer since not all viewing requires sending a signal through the air. TV stations typically maintain at least one newsroom and studio facility. These buildings, just like any other, are susceptible to damage from any number of natural disasters or weather — ranging from power outages, flooding or water damage or structural damage. TV station also require electricity to operate and many natural disasters knock out power to a region. However, most TV stations are equipped with backup generators that use fuel to generate power. Power is also required to keep the station’s computer systems online, which control most of the newsgathering process. However, if power to any of these systems is interrupted, it can cause a cascading effect of system crashes. It’s worth noting, however, that generators can sometimes fail completely or be damaged — or may not come online as quickly as anticipated. Satellite TV providers sometimes “capture” the over the air signals and transmit them to the satellite provider, so the facility that houses this infrastructure must be operational. Assuming a station has reliable power and has not sustained significant structural damage, it may still be able to produce television coverage — but it may not be sent over the air. Just as with a station’s building, transmitters are susceptible to damage from natural disasters and weather. For example, high winds have been known to topple transmitters, which are often mounted on high, freestanding metal towers in high, open places. TV transmitters can also been damaged by accidents. In some markets, most or all of the stations’ transmitters are located in the same location — such as atop a tall building or high mountaintop. In these cases, the transmitters may share some basic infrastructure, such as power. In setups like this, multiple stations are more likely to be affected if the transmitter site is damaged. Transmitters also require electricity to operate: And while some transmitters are equipped with backup generators, this is not always reliable. In addition, the connection between the station and the transmitter must remain online — but it is also susceptible to weather or damage. Some stations may have an alternate office or facility that can be activated as a studio and control room in the event the primary site is down. Many stations also have a backup “flash” setup — a small, makeshift studio and control system that can be activated easily, with minimal power requirements and sometimes independently of other systems. Stations may also have pre-arranged or on-the-fly agreements with other stations in the market to support each other in the event of a natural disaster incapacitates some. Since, in most cases, TV stations are located in geographically different areas of a market, this can be a key advantage in finding an operational facility. Finally, stations can often bypass most of the station infrastructure and use a remote news gathering vehicle to broadcast from any safe location, as long as it can get the signal from the truck to master control and then to the transmitter or other feeds. If you have access to the Internet, try the station’s website to see if a live stream is available. Note that some stations automatically rebroadcast their latest newscast (even if other systems are down) so be sure you are viewing the latest coverage. If a live stream is not available, the station may still be able to post text and photos to the site so you can stay up to date on information. Check on the station’s Facebook or Twitter page for updates. Most stations will post news, photos and video to social media during natural disasters as long as cellular or wireless Internet is available in the market. Use the station’s app to access news stories, live streams or weather information, if available. Stations may also stream coverage to Facebook or other social media services during natural disasters. In addition, some stations may also simulcast coverage on alternate cable, satellite or even other over the air signals that are still online. This post was last updated November 30, 2018 and, although it was believed to be accurate at that time, this information may have changed since this time. Although reasonable efforts are made to ensure the accuracy of this answer, it cannot be guaranteed and you are encouraged to verify any details independently.